Some councillors from the town council are working towards obtaining World Heritage Status for the Whitby Abbey headland. A proposal, put forward by Cllr Geoff Wilson, was discussed at the most recent meeting, but obstacles were raised by other councillors in attendance. 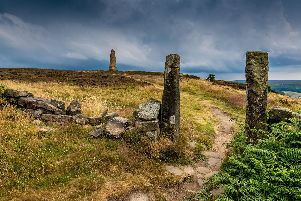 He said that the area to be put forward for World Heritage Status would be the Abbey headland, stretching from Ravenscar to Boulby to Rosedale. But concerns were raised about the dimensions of the Abbey headland, and what Cllr Wilson says it comprises . Cllr Phil Trumper said that before the next steps can be decided, the town council must know exact details of the area being put forward for world heritage. He said: “I think we need to be more specific about the area under discussion. Cllr Wilson said that he could describe the area but was unable to provide an exact map of the headland at this stage. He added that the initial approach for World Heritage Status involves applying to a tentative list before proceeding any further. He said that the next steps would involve working with the town council’s clerk to put together a proposal to go to the tentative list. Cllr Amanda Smith also raised concerns about the proposal, questioning if the council has the expertise or the time to lead on this project. Concerns were also raised that the proposed area stretching from Ravenscar to Rosedale is too broad and would involve other councils, outside Whitby Town Council’s boundaries. After extensive debate between councillors, Cllr Geoff Wilson said: “Just forget it. Clerk to the council, Pam Dobson informed Cllr Wilson that the town council cannot impose on parish councils down the coast. The discussion concluded with Cllr Geoff Wilson withdrawing his proposal, to prepare a new one for the next council meeting.